Chronic use of over-the-counter drugs called proton pump inhibitors (PPIs) for heartburn and gastroesophageal reflux (GERD) speeds up the aging of blood vessels, according to a paper published early online in May 2016 in Circulation Research, an American Heart Association journal. This accelerated aging in humans could lead to increased cardiovascular disease, vascular dementia, and renal failure. These findings by a Houston Methodist Research Institute team are a progression of the work that John Cooke, M.D., Ph.D., began more than five years ago, and support recent epidemiological and retrospective studies that observed associations between the long-term use of PPIs and an increased risk of heart attack, renal failure, and dementia. 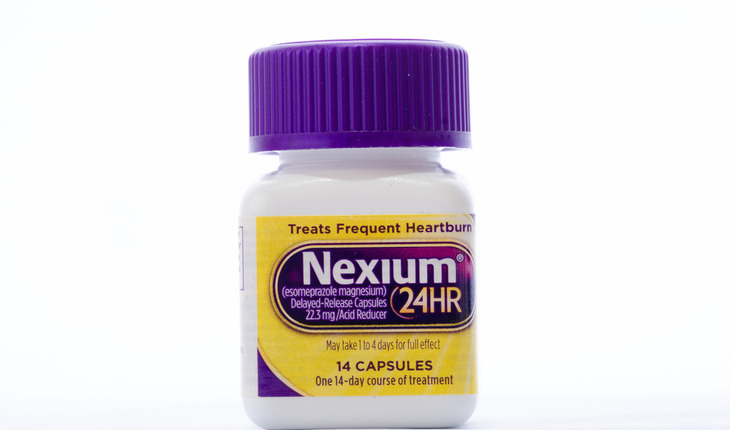 A release from Houston Methodist explains that PPIs like esomeprazole (Nexium) are widely used for the treatment of GERD. Becsue these these medications are sold over-the-counter in the United States, medical supervision is not required. While these drugs are effective when taken as prescribed, they were not approved for long-term use and evidence suggests that up to 70 percent of PPI use may be inappropriate. Cooke’s earlier work identified at a molecular level that PPIs might cause long-term cardiovascular disease and increase a patient’s heart attack risk. That work led to a collaborative study with Stanford University colleagues (PLOS ONE, June 2015) to show that in two large populations of patients, adults who used PPIs were between 16 to 21 percent more likely to experience a heart attack than people who didn’t use the commonly prescribed antacid drugs. The FDA estimates about 1 in 14 Americans have used a PPI. In 2009, PPIs were the third-most taken type of drug in the U.S., and are believed to account for $13 billion in annual global sales. In addition to GERD and heartburn, PPIs treat a wide range of disorders, including infection by the ulcer-causing bacterium Helicobacter pylori, Zollinger-Ellison syndrome, and Barrett’s esophagus. PPIs come in a variety of forms, always ending with the suffix “-prazole,” and other brand examples include Prilosec and PrevAcid.